This conference will be held from the 28th of June to the 30th of June 2016 at the Department of Historical Studies, University of Gothenburg, Gothenburg, Sweden. This conference will be held from the 28th of June to the 30th of June 2016 at the Department of Historical Studies, University of Gothenburg, Gothenburg, Sweden. Conference Organiser(s): Geoff Lee and Helene Whittaker. The conference is aimed equally at postgraduate students, early career researchers and established academics. The intent is to facilitate a multi-disciplinary discussion and therefore researchers from any relevant discipline are encouraged to participate. Papers on any aspect of Ancient Warfare will be presented. 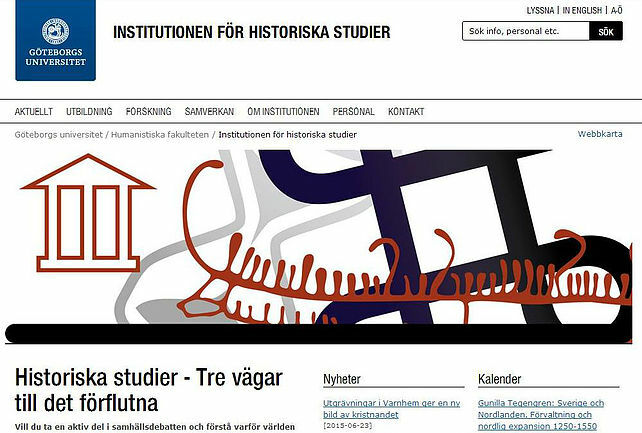 The conference has received generous support from the Swedish Foundation for Humanities and Social Sciences.